MAGS 360° | Latest news and updates from the international magazine world! Latest news and updates from the international magazine world! Hôtel & Lodge, a bi-monthly lifestyle and travel magazine covering the latest amongst prestigious resorts, boutique hotels as well as lodges and 5-star palaces has just been sold by its two main shareholders, the enthusiast magazine publishers Nivéales and Editions Larivière, to press entrepreneur Michel Comboul. This travel magazine, launched in 2002, currently generates an estimated turnover of €700 000 with a circulation of 49 600 copies per issue (6x). As a reminder, Michel Comboul is the former President and CEO of the French Riviera publisher Nice Matin, as well as head of the Syndicat de la Presse Quotidienne Régionale (“Association of Regional Newspaper Publishers”) and the Fédération Nationale de la Presse Française (“Association of French National Press Publishers”). The American edition of Elle launched 25 years ago already! For the occasion, the French-owned magazine’s October issue is coming up with several covers featuring four young American actresses. A Dutch version of the home magazine with Mediterranean flavor Côté Sud Magazine is to launch shortly. The magazine caters to those who are keen on the Riviera lifestyle and fond of products and flavors from all over Mediterranean sea. It is the fourth international edition to be launched in Dutch-speaking Belgium (“Flemish” is the language to be precise) and Holland with a print run of 50 000 copies (25 000 in Belgium and just as many in The Netherlands). The title will be published in 285 x 225 mm perfect-bound format and glossy paper. Two months! Only two months after the inception of Chatter, Burda’s latest celebrity weekly for young people, it must come to an end. The magazine circulated an average of 220 000 copies a week over the summer test period, which wasn’t enough to satisfy the publisher’s expectations. Burda was banking on Chatter to become a cheap mass market tabloid weekly sold for only 0,70 cents, but the title never met its audience. What’s to learn from this experiment? The youth are online and do not read print even when the title is supposed to cater to them. It’s also probably difficult to publish a weekly that focuses on celebrities since hot news and scandals come up every minute via twitter! The 12-member editorial team will be disolved at the end of the month. R.I.P. Chatter! Serge, a new French magazine dedicated to musical expression will appear in newsstands on September 21 with France’s young pop sensation Camélia Jordana on the cover. Serge aims to position itself as a bi-monthly magazine that’s “chic and popular, dedicated to all French-language music, whether it is rock, pop, electro, hip hop or just vocal.” It will be edited by Patrice Bardot (Tsugi) and Didier Varrod (France Inter) and should feature 116 pages. The new music mag will be published by Detroit Media. French singer and 60’s legend, Alain Chamfort, posted several pictures of his photo shoot for the magazine on Facebook since he appears in Serge’s debut issue. Click to go to Serge’s MySpace page or follow Serge on Twitter. Britain’s enthusiast magazine publisher Haymarket has agreed to licence its gadget title Stuff to the Ginza Media Group of Poland as of September 9, 2010. The cover price is set at 9,90 PLN (or about €2,50) and the print run is 50 000. Stuff magazine is the UK’s cutting-edge guide to gadgets, gear and technology and is Earth’s most renowned gadget compendium. Inspirational, witty and friendly, it has become the best-selling gadget magazine in the world. There are 22 international editions, all rammed to the virtual rafters with the world’s coolest kit. Stuff also has: a new multimedia website, Stuff.tv ; a brand new mobile site, Stuff.tv/mobile ; an annual exhibition; and two of the Britain’s most successful podcasts. Stuff’s editors travel the world to experience first-hand the very latest in entertainment technology and culture to ensure that all its features are at the cutting edge of the gadgets world. Meanwhile, Haymarket also reached a licence agreement with Ginza for its football (soccer) mag FourFourTwo to be published in Poland from September 15 on. The cover price will be 4,90 PLN (€1,30) and the print run is 30 000. FourFourTwo stands for the very highest quality, unparalleled football knowledge and genuine authority – all delivered with passion, humour and flair. No other media channel gets deeper under the skin of football than FourFourTwo . Global superstars line up to be interviewed, lower-league clubs allow access all areas as we uncover the untold secrets of the game and award-winning investigative reporters dig out crucial stories that take us into the dark heart of football. 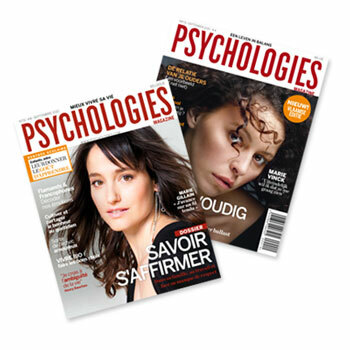 Psychologies magazine just launched its 12th international edition in Belgium, a small European country currently on the verge of being split in two. This new “dual” edition will be published under license by Lagardère’s usual partner there, Edition Ventures, which already publishes local versions of Elle, Elle Decor and Art & Decoration). There will be a French and a Flemish edition of the magazine for both communities with a print run of 35 000 copies a month each. Since the inception of the Italian edition in 2004, Psychologies magazine has now global editions in China, Russia, Spain, Great-Britain, South Africa, Mexico, Greece, and some more.